Ask fellow campers about "Country Lane Campground & RV Park" and nearby attractions. Great place to stop, nice shaded site, all hook-ups in a good location. Nice friendly folks. The café looks new, nice and clean, great food, I had the pizza, wife had the salmon sandwich. Wifi works good. Didn't use the showers, but checked them out, nice and clean, well kept. I will start making this a regular stop anytime I'm through this way. Well stocked grocery store right next door. We camped at Country Lane Campground & RV Park in a Motorhome. Park is a basic OK overnight stop. All,utilities worked fine, except our sewer connection was nearly a foot off the ground. Sites are shady and overnighters are pull throughs. The park is adjacent to US Route 2 (Literally...adjacent) The back in sites abut the gravel base of route 2, so your rig is about 50 ft. from Route 2 asphalt, with no fence or barrier. (Keep a close eye on your pet) They have a Cafe there, but we never saw anyone in it. Item 1 on their breakfast menu is "Biscuits, Gravy and Hashbrowns" for $9.95. A side of bacon will set you back $4.25. 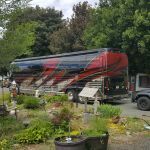 Every time we went to the office, there was a cloud of cigarette smoke from employees smoking just outside... We camped at Country Lane Campground & RV Park in a Fifth Wheel. One small well stocked grocery in town and one restaurant. This is a great little park. The pizza at the Cook Shack was awesome! The owners are super nice. WIFI worked well. We camped at Country Lane Campground & RV Park in a Fifth Wheel. This small RV park is right next to the road (Hwy 2) so you do hear traffic during the day, though it diminishes quite a bit at night. There is also a train that occasionally comes by (way on the other side of the road). Neither is that bad and neither bothered my wife or me. The sites are long enough and fairly wide, with grass and most sites have a mature tree for shade and were very pleasant. Hook-up's were good and the WiFi was fairly acceptable (though quite slow like most are). The bathrooms/showers were very clean and adequate. The laundry room was tiny. The management was working hard throughout our visit to ensure everyone was happy. We would likely stay here again if we were in the area. We camped at Country Lane Campground & RV Park in a Motorhome. 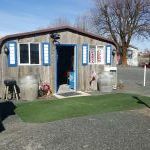 This RV park is 30 minutes from Grand Coulee Dam, which has a free tour, interesting visitor center, and a free laser light show at night (pretty good!). We also did a short hike to Lake Lenore Caves, and picnic'd at the Sun Lakes State Park campground. The town of Grand Coulee has the widest variety of services of the towns in the area. Most interesting fact for you to discover: Dry Falls. What a little gem. Family owned. Come in as strangers--leave as friends. Very friendly & helpful. Gravel entry, gravel sites. Back in sites are 50 amps. Pull thru sites are 30 amps. Good water pressure, water regulator will be needed.Grass between sites, with mature shade trees. Farm land on one edge, hiway on other side- quiet at nite. Good strong WiFi connections. Easy access from Rt.2. Delightful surprise--RV Room Svc. 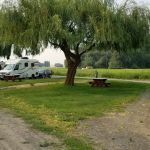 We camped at Country Lane Campground & RV Park in a Motorhome. Central location for numerous state parks, lakes, fishing and Grand Coulee dam. What a great little park. It is small but there were only 7 campers while we were there and 5 of those were permanent. We had a spot at the end of the park that was secluded and quiet. Hwy 2 is very close but it was very quiet after dark. The hosts are super nice. Ditto about the breakfast and dinners that are available. We camped at Country Lane Campground & RV Park in a Travel Trailer. We stayed here for two nights and it was a lovely, quiet campground overlooking farmland on one side, and backing up to US Highway 2 on the other. The owners were wonderful. The bonus was ordering excellent pizza and breakfast and having it delivered to our site! This is a greAt place to stay to explore the Dry Falls State Park and Coulee Dam. 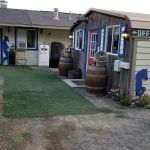 We camped at Country Lane Campground & RV Park in a Travel Trailer. Great owners! Very accommodating! Loved the on-site pizza. There is road noise, and the sites are a little tight in places, but we will go back! We camped at Country Lane Campground & RV Park in a Motorhome. Quick 20 minutes to Keller Ferry and boat launch-30 minutes to Grand Coulee Dam. This is a little and somewhat older RV park. There is a small cluster of permanents by the park entrance, but we practically had the transient section to ourselves. Fairly level gravel sites, nice size sites, a single row of pull-thrus and a single row of back-ins, and the fastest (10Mb) WiFi we've encountered in over two years of full-timing. The owners cooked us a pizza in their mini restaurant and delivered it to our door - it was a delightful touch. We spent five days and we'd go back. We camped at Country Lane Campground & RV Park in a Fifth Wheel. Drive over to see the Grand Coulee Dam - it is not all that far. A quaint little mom & pop operation. Mom will whip up dinner/pizza and pop will deliver it to your site then pick up the dirty dishes. The food was pretty good. We would have given it higher marks but it's right next to a highway and a bit noisy. We probably would look elsewhere when in the area. We camped at Country Lane Campground & RV Park in a Motorhome. Do order from the kitchen instead of going into town. My husband enjoyed his flat iron steak. Almost rustic with uneven grassy site with no sewer hookup. Limited amenities in the surrounding area. Booked two nights and stayed one. We camped at Country Lane Campground & RV Park in a Travel Trailer. Nice, small park located directly off of Highway 2 on the west end of Wilbur. The park is clean and well taken care of. The owners are extremely friendly and helpful. The sites are decent length with enough space between them to put slides and awnings out. The bathrooms were clean and well taken care of. The Wi-Fi worked OK. The only negatives was the constant highway noise and you had to pay to use the showers. Otherwise this is a nice place to stay for a night. I would stay here again if in the area. 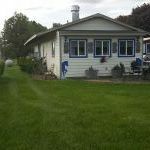 We camped at Country Lane Campground & RV Park in a Fifth Wheel. 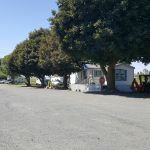 This family run RV Park is small, has grassy, shaded sites, and very super friendly owners who also bake a great pie! We called ahead as we have a large 5th wheel and need 50 amp service. They put us in the largest site they had with lots of grass around and under some cottonwood trees. It turns out that on the night we stayed we were the only customers so the place was quiet and our dog was able to sit outside with us without being leashed. They do have a small restaurant area with a very limited menu. The negatives for the park are that it is right on the highway and there is a lot of traffic noise. No TV but the free WIFI worked on the computers (not the smartphones) and the cell service was intermittent. 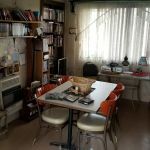 We felt very comfortable here and would stay again. It's a perfect place to stay for visiting the Grand Coulee Dam which is 20 miles north. We camped at Country Lane Campground & RV Park in a Fifth Wheel. Shore Services: 50amp, Sewer good, Water @ 45psi. AT&T Cell Phone signal is very good. Wi-Fi is very good. Better than Sprint or Verizon Air Cards. Our back in site is new with 50amp service. It is level enough, wide enough, and we can park our Truck beside the site easily. There is a lot of room between sites for Awnings and Slides. Restrooms are clean in a small building up front. The Laundry has two washers and dryers for $1.50 each. There are some Long term tenants but they are not trashy. DirecTV at night is not real bad. This is the best campground in this area and we would stay here again. We camped at Country Lane Campground & RV Park in a Fifth Wheel. Are you affiliated with Country Lane Campground & RV Park ?